Rich in legend and history, the Bay of Islands is New Zealand's cradle of European civilization, with many points of interest relating to early European and Maori settlement. There are many "firsts" associated with the Bay of Islands, such as the first European community, the oldest home and church in the country and the first capital of New Zealand, among others. Reserves have been established to protect what is left of the once vast native kauri forests with magnificent trees rivaling California's redwoods. Major sites in the Islands include historical Waitangi, Paihia, a subtropical marine resort popular as a starting point for bay cruises and fishing excursions, and Russell, one of the oldest towns in New Zealand known as the “Hell Hole of the Pacific”. Anglers still regard the Bay of Islands as a top fishing area, while residents cherish its unhurried pace, balmy climate and serenity. Other sights include Motukako Island, Kawhiti Caves, Maori Meeting House, and the Bay of Islands Maritime and Historic Park. Rates are cruise only, per person, based on double occupancy. 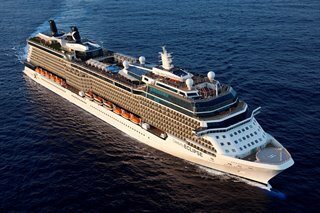 Taxes, Fees and Port Expenses of $257.56 additional for all guests. Rates are subject to availability and may change without notice. Restrictions may apply.